Grammy-winning guitarist Bill Mize is a son of Tennessee, and a fitting representative of his state’s rich musical heritage. His critically lauded fingerstyle compositions are fluid and intricate, and their delivery masterful. One suspects an influential teacher, and one would be right. “I received most of my musical education from a cheap Zenith radio,” says Mize, who as a child drifted off to sleep to the decidedly non-sleepy lullabyes emanating from Nashville’s WLAC and WSM and Knoxville’s WNOX. Bill is a past winner of the National Fingerstyle Guitar Competition at The Walnut Valley Festival in Winfield, Kansas. Guitar Player Magazine has labeled this event the “U.S. Open of guitar competitions.” Bill received a GRAMMY Award for his collaboration with musician and storyteller David Holt on the recording Stellaluna, and has been featured on the popular guitar compilations “Windham Hill Guitar Sampler” by Windham Hill Records and “Masters of the Acoustic Guitar” by Narada Records. 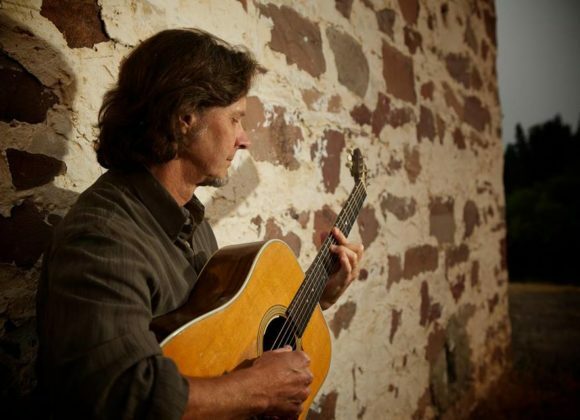 In 2009, Bill’s music appeared in the Ken Burns documentary “The National Parks: America’s Best Idea.” Mel Bay Productions transcribed Mize’s second CD, “Tender Explorations,” into a songbook, and his original compositions have been transcribed for Fingerstyle Guitar and Acoustic Guitar magazines.